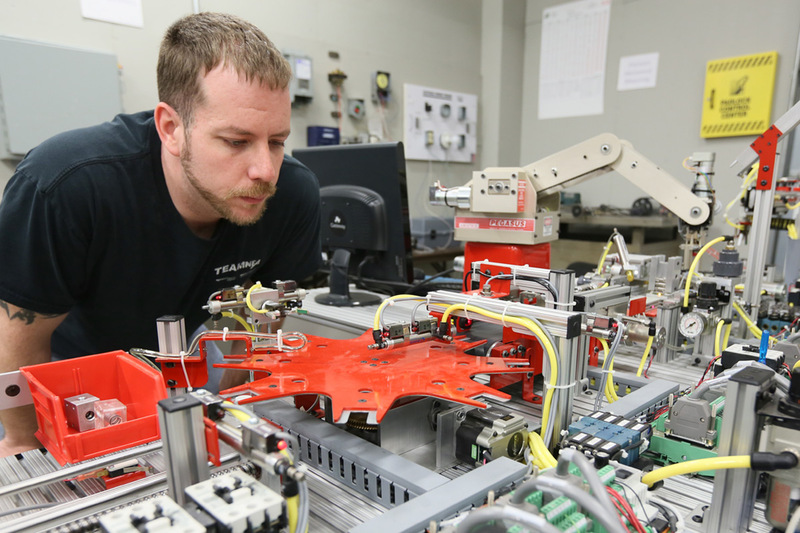 The Industrial Maintenance program at ASUN teaches students a broad array of job-ready skills in integrating technologies, especially those needed for today's complex modern devices. Students receive practical hands-on experience in mechanical, electrical, fluid power, welding and software to enable students to work effectively in virtually any industrial environment. And because safety in an industrial environment is critical, students will learn and practice standard industrial safety practices and methods which support a safe workplace. The program of study includes how to troubleshoot, repair, install and maintain industrial manufacturing equipment utilizing teamwork, punctuality and life skills needed for future success in the industrial environment. Students who have completed the Industrial Maintenance program have been hired by companies such as Unilever, Frito Lay, Baxter Healthcare Corporation and many others. Have you found your starting point? Apply to the Industrial Maintenance program today.